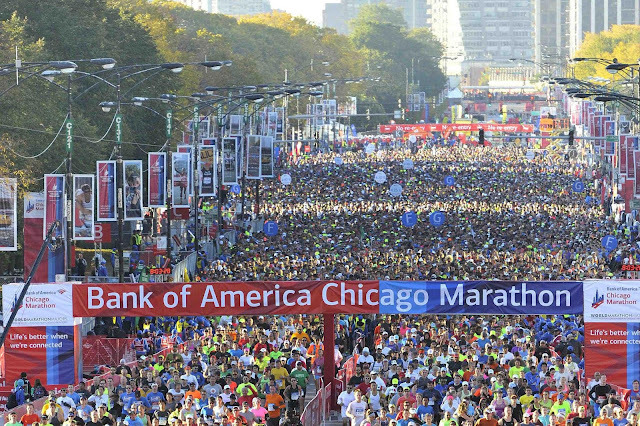 Running through a sweltering summer drought was one challenge in training for the Chicago Marathon. Training while traveling was another. Between weddings, vacation, and quick weekend trips this summer (all wonderful and fortunate reasons to travel! 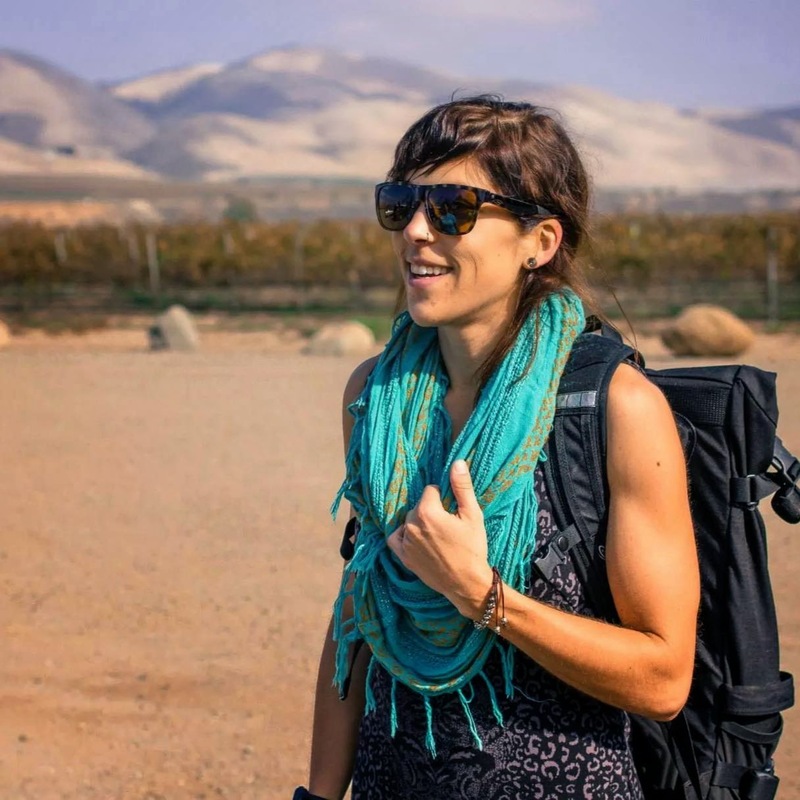 ), I ran eight marathon training "long runs" on foreign roads and trails after sleeping in an unfamiliar bed. Although I missed the comfort and security of running my familiar ole' Camberville routes, I came to love the adventure of traipsing new turf, using my double-digit mileage runs to explore travel towns and cities on foot. During those early morning miles, I discovered neighborhoods. I met the locals who are up at 6 a.m. on Saturday (New York Mennonites get after it early). I took in views of city skylines, mountains, farms, rivers, lakes, islands, and the Atlantic Ocean. I explored shared-use recreation paths, rural dirt roads, high-traffic city streets, and wooded trails. 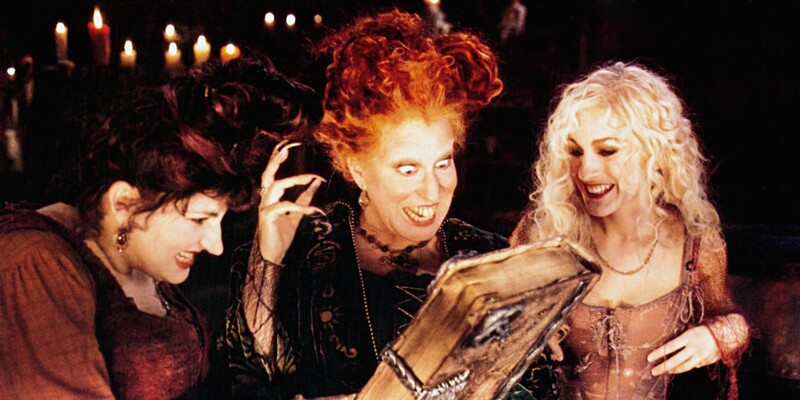 I'll admit that sticking to my training required intense planning. By the seventh weekend, I grew weary of packing an extra travel bag for running accoutrements and a cooler jammed with protein smoothie bowls, bananas, and endurance gels. It also required a lot of patience and flexibility on Chris's part. It's a truly supportive spouse who will take you home from the fun party at 9 pm, schedule all the cool sightseeing stuff so it won't conflict with your long run, make sure iced coffee is waiting for you in the AirBNB fridge when you arrive home stinking and sweaty, and then hand-deliver a vegan donut to cram in your mouth while you are hastily showering so you don't miss the boat ride to a wedding. Yes, I'm a lucky woman. En route to Montreal, Quebec, Chris and I spent a night in the quintessential Vermont ski resort town of Stowe. 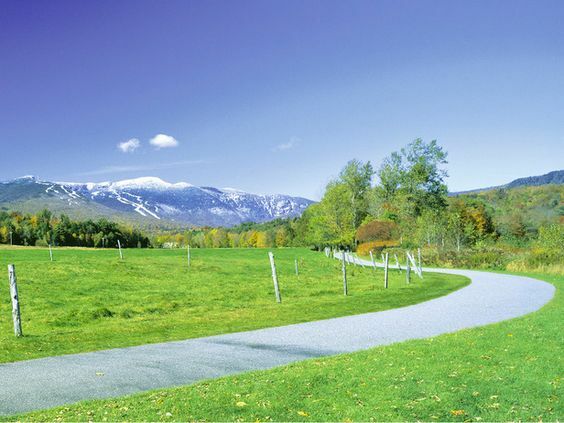 Our little hotel opened right onto the Stowe Recreation Path, a 5.5 mile paved, shared-use path for non-motorized recreation. Okay, full disclosure. That is totally someone else's photo of the path in the Springtime (there was no snow on the Mountain in hot July), but C'MON. Is this place for real? After our brief stay in Stowe, we crossed the border to spend the July 4th weekend watching the New England Revolution take on the Montreal Impact in Montreal, Quebec. Montreal is, in fact, named for "Mount Royal", a mountain/hill in the middle of the city. After running switchbacks up and up the well-maintained gravel roadway and stomping up hundreds of stairs, I pumped my fists at the top. The view was spectacular, but the best part of all was hurtling myself back down the path in a free fall. Added bonus! The building housing our Montreal AirBNB apartment featured a gym, complete with inspirational wall quotes. Who needs punctuation? 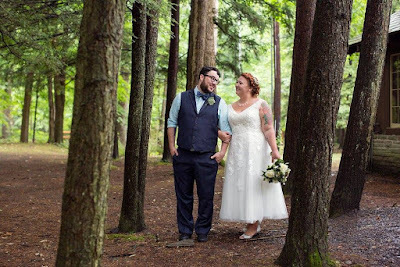 Jeff and Nina got married in Salem, Massachusetts. Their wedding was "wicked" fun! And new home of the Satanic Temple Headquarters! My run took me past a real life store called It's Raining Pets! After traveling through the town of Beverly and past the campus of Endicott College, I turned around at Manchester-by-the-Sea. Yes, Manchester-by-the-Sea is the official name of a town in Massachusetts. It was changed in a 1989 vote by concerned citizens who were determined never to be confused with the shittier Manchesters, like the one in New Hampshire. Casey Affleck just made a soon-to-be-released film there, because it was the only town left in Massachusetts where an Affleck brother hadn't made a movie. The Newport Folk Festival is my favorite weekend of every summer. Though we we were only able to attend one day of the festival this year, we made the most of it. 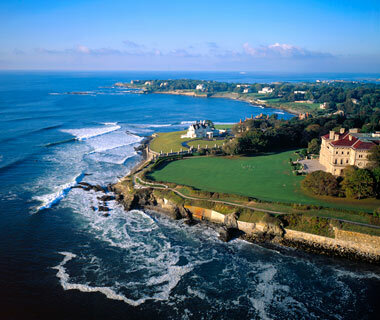 I squeezed in a run along Newport's Cliff Walk, a 3.5 mile recreation trail along the coastline of Newport. It is famous for offering views of obscenely large mansions. 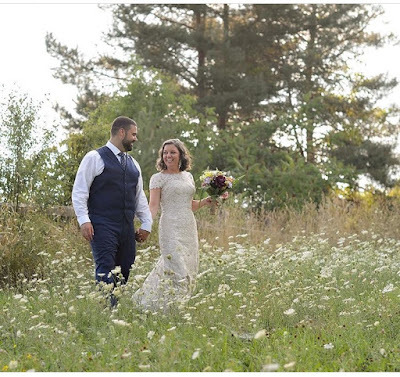 Joe and Kyle got married in a lovely barn near Ithaca, New York. 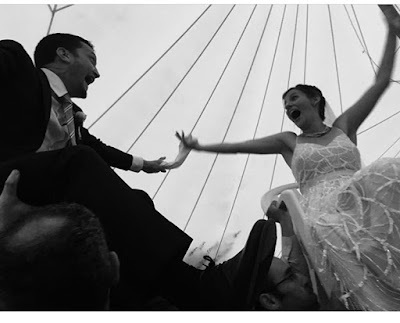 There was some seriously intense karaoke at their wedding, complete with requisite karaoke mosh pit. On the morning of the wedding, I foolishly set off for a run through Cornell University and along the Cayuga lake waterfront without first checking out the elevation profile on a map. 2 miles into my run, I was gasping for air in the tripod position halfway up a tough incline. What goes up must come down, though, and I enjoyed once again hurtling downhill. The Cayuga Waterfront Trail had lovely lake views, was mostly paved, well-maintained, and totally pancake flat. It took me right through the adorable Ithaca Farmer's Market. We spent a hot, muggy August weekend visiting the Cape Cod family vacation home of Dave and Lara. It was a relaxing, indulgent weekend. I was in good company among a house full of runners, and no one scoffed when I celebrated the start of my weekend with a 6 am 18-miler. 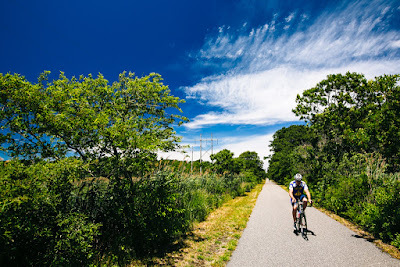 I spent part of my run on the Cape Cod Rail Trail, which covers 22 miles through the Cape. But the important destination on this run was a tiny private beach in Harwichport, MA. I experienced a rush of emotion (and maybe a welling of tears) as I stood atop the steps looking down on the place where I'd spent my formative summers learning about hermit crabs and making sundials in the sand with Grandma and Papa before their Cape cottage was sold. 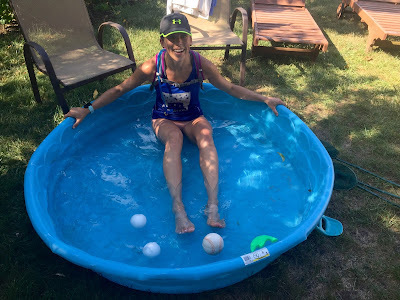 When I returned from my 18 mile sweatfest, I planted myself among the toddlers in the backyard baby pool for a ready-made ice bath. On the morning of Ali and Dan's wedding in the Finger Lakes, I spent 15 miles on the Keuka Lake Outlet Trail. This single-track wooded trail runs along the track bed of the old Fall Brook Railroad along the towpath of Crooked Lake Canal, which once connected Keuka lake to Seneca Lake. I encountered a creepy run down ghost town, an abandoned mill, and a waterfall. Adventure! After finally hiking Mount Greylock in Western Massachusetts, Becca, Steph and I spent a night in Amherst, where we discovered yet another rail trail. 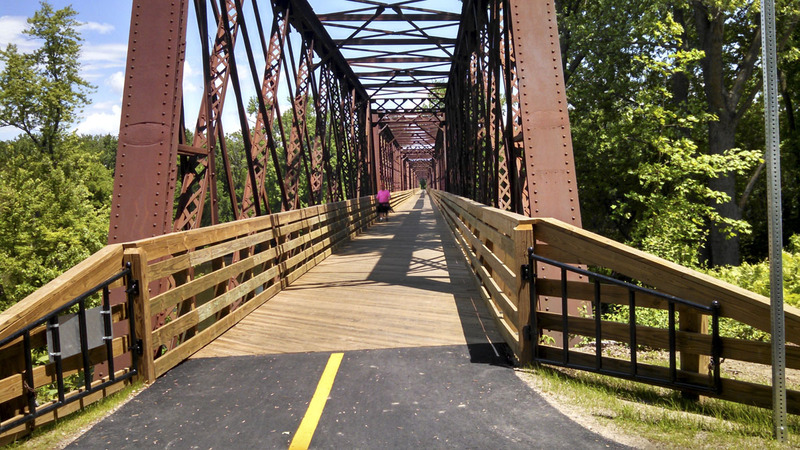 The Norwottuck Rail trail runs 11 miles along old Central Massachusetts Railroad. It was one of the most well-maintained trails I've ever run on. Flat, paved, and shady, with a few public restrooms and a water fountain. 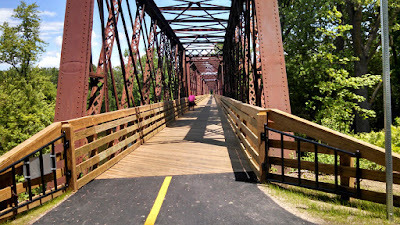 On the western end of the trail, I ran across the Connecticut River on a long railroad bridge. Really cool! Xandy and Will chartered a boat to bring all of their wedding guests to Diamond Island in Casco Bay. It was a perfect day and the first time I've ever danced the Hora. Portland is a fantastic city with a strong personality. It really knows how to do great-outdoors-meets-urbanity. My morning 19-miler took me from our downtown AirBNB up the Eastern Promenade waterfront path, across the Martin's Point Bridge, and onto Mackworth Island. 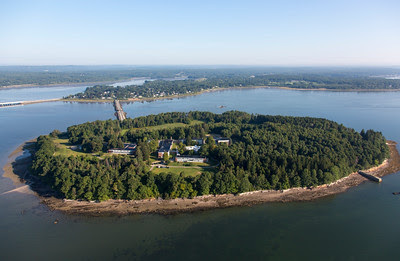 Mackworth Island is a 100-acre island in Casco Bay connected to the Falmouth mainland by causeway. It's heavily wooded with a footpath running its perimeter, a combination which managed to fulfill my desire to feel like a "trail runner" without requiring me to leave the comforts of city living. I have fond memories of the run. These memories may be colored by the fact that I was greeted with vegan Holy Donuts upon my arrival home. 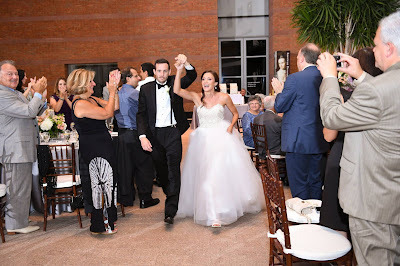 I was really worried and shed lots of tears during the week of my wedding. But walking into that hall was such an amazing moment. I would suggest these wedding venues los angeles for any event of under 100 people where you want an elegant atmosphere for a very reasonable price. Thanks for reading and for your kind words! Chicago was the best ever. It's always nice to (electronically) meet other Boston runners! I do love my Camelbak. It's the "mini mule" version, which is intended for kids, but fits a small-medium build adult woman quite well! I plan to write a review of it soon, but highly recommend. Best of luck with your Philly training! Almost there! I would recommend these guys without reservation. Got a bouquet here for my mom on Mother's Day. San Francisco Flower Delivery was beautiful. Everyone was like, "wow, where did you get that?" It was pricey but worth it. I would recommend few adorable Flower Gift Tags and found those ideas great. I am making DIY birthday return gifts for my friends and will like to use these flower tags for that. Searching for a good Delhi Flower Delivery services to deliver fresh flowers.